We’re giving away three Osprey Hikelite 26 backpacks. This range is lightweight and fully-featured, perfect for your day hikes or as your all-day bag while tackling the Camino. Enter by May 13th and be in for a chance to win! Meanwhile, check out our other ranges of Osprey hiking packs, adventure travel packs, and urban daypacks that you can buy online or instore before travel season kicks into gear! For the places where wheels won’t go. 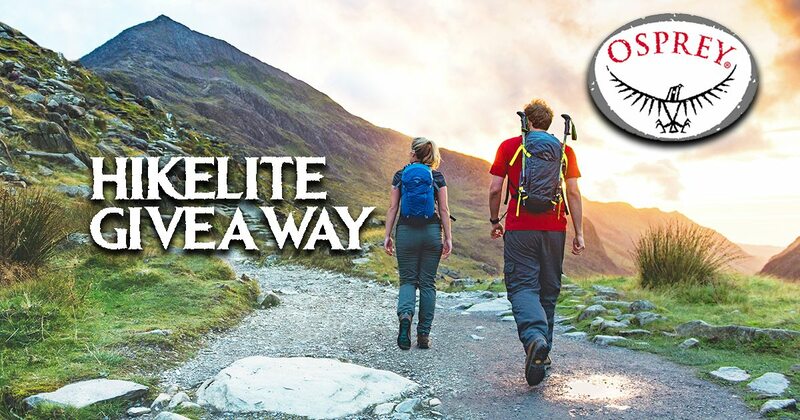 Win an Osprey Hikelite 26. Check out our full range of Osprey hiking and hillwalking backpacks here. Or read on below to enter our giveaway. The following are the terms and conditions of the Great Outdoors Osprey Hikelite Giveaway Spring 2018. Your participation in the competition shall be deemed to be your complete acceptance of the terms and conditions herein. •The winner will be notified by phone and prizes must be collected in-store within 30 days of their entry or the prize will be considered forfeit and used in an alternative competition in the future. •Closing date for all applications is Midnight on May 13th.